Everyday, 600 children and 4,000 adults die of a treatable and manageable disease. After decades of struggle against HIV/AIDS there is still an urgent need to do more to stop people dying needlessly. 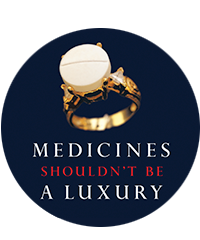 Despite available and mostly affordable drugs, tools and models of care that work, is it acceptable that 1.7 million people succumb to the disease every year? I don’t think so. On Tuesday and Wednesday (9-10 April) the European Commission will host a meeting in Brussels to discuss the replenishment of the Global Fund to fight Aids, Tuberculosis and Malaria – the main funding mechanism for the diseases. In this preparatory meeting, The Global Fund will present its resource needs for the coming three years to its donors, including the EU. The millions of people with HIV awaiting life-saving treatment need the Global Fund to present plans matching the urgency of the situation. As the host of the meeting the EU must be a true champion of the fight against HIV/AIDS and push the Global Fund to be ambitious in terms of rapid treatment scale up and retaining people in care. On the ground, MSF is seeing worrying signs that ambition might not translate into reality. In the Democratic Republic of Congo (DRC), a mere 12% of people who need antiretrovirals get them leaving 386,000 in desperate need of the drugs. DRC is one of the low income countries the Global Fund said they wanted to prioritise and was selected as one of the early applicants in the launch of their new funding model. DRC is in urgent need of additional funds as the country is lagging behind in terms of treatment rollout. But in practice, as needs continue to grow, the money to be allocated to the fight against HIV by the Global Fund in DRC for the next three years will be at a lower level compared to the last three years. Another critical example relates to the lack of qualified medical staff. In countries such as Malawi and Mozambique with less than a fifth of the international minimum staffing norms, the pressure on frail health systems remains a critical issue in the delivery of care including HIV treatment. MSF has shown that models based on community groups and patients themselves could work very well through a decentralised approach when supported by community health workers and counsellors. Despite the good results obtained with those approaches, replication remains difficult as governments often struggle or are unable to absorb and pay for these indispensible staff. The Global Fund has been one of the few sources of financial support for these activities but is gradually scaling down funding for staff in countries like Lesotho and Zimbabwe. The EU should definitely use its leverage as a major donor to the Global Fund to ensure that community-based approaches will continue to be supported. We also call upon the EU to include these community approaches in its own health programmes. Our experience in resource-poor settings has shown that community models represent a strong approach to achieve a massive scale up of people on treatment and provide critical support to treatment adherence. The UN goal to reach 15 million people on treatment by 2015 will remain a distant dream if we expect weak health systems to take care of the 7 million people still to be enrolled. This can only be achieved through unprecedented commitment by all donors in this period of replenishment. In more than 20 countries, MSF teams work alongside health professionals, community members and patients who are dedicated to fighting HIV/AIDS day in day out, but they need to be given the means to do that. To have the slightest chance of making these targets a reality and to save millions of lives we need the Global Fund next week to show leadership by presenting donors with funding request in line with bold country plans and we need the EU to use this opportunity to demonstrate its leadership on HIV/AIDS, human resources for health and in international health. Every day that passes results in unnecessary deaths and suffering. MSF currently provides HIV treatment to 220,000 people in 23 countries.